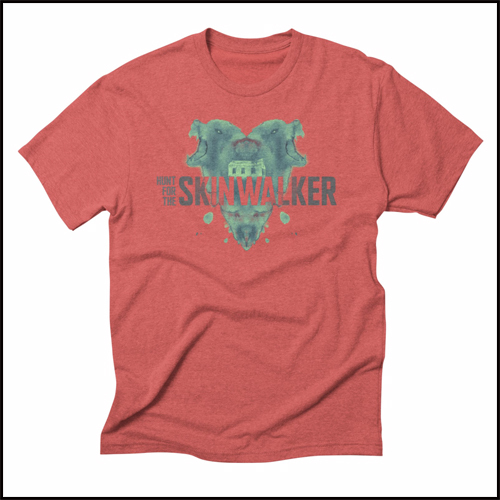 The name “Hunt the Skinwalker” is both a mission statement and a metaphor, a goal that is both literal and figurative. In the religious traditions of some Native American tribes, a skinwalker is a shapeshifter, a sorcerer, a witch and a trickster. It is the blanket explanation used by the Ute tribe of northeastern Utah to explain a myriad of frightening, seemingly paranormal events that have occurred in the Uintah Basin for hundreds, if not thousands of years. Reported phenomena include orbs, UFOs, animal mutilations, unknown creatures, poltergeist-type events, and many other inexplicable incidents that seem to defy our known reality.